Are horror stories of how Windows 8.1 upgrades went horribly wrong keeping you from upgrading yourself? Yet you wish you could access some of Windows 8.1’s novelties, like better SkyDrive integration How To Keep Your Files Synced With SkyDrive In Windows 8.1 How To Keep Your Files Synced With SkyDrive In Windows 8.1 Storing data remotely and syncing them across devices has never been so easy, especially if you're using Windows 8.1. SkyDrive received a significant update, improving its integration with Windows and adding interesting new features. Read More , improved desktop features 8 Super Windows 8.1 Tweaks For Power Users 8 Super Windows 8.1 Tweaks For Power Users With Windows 8.1 came many changes. Some options are completely new, others were changed or moved. Whether you're using Windows 8.1 on a desktop, tablet, or something in between, these tweaks will come in handy! Read More , or you name it. 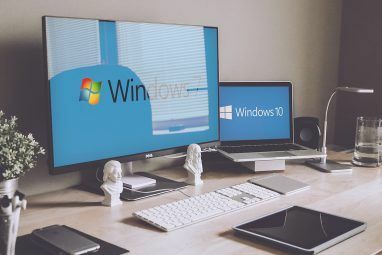 This article summarizes the lessons we have learned, to help you navigate the potential pitfalls of upgrading to Windows 8.1, including a safety net that — in case things do go wrong — will allow you to return to Windows 8, as if nothing ever happened. Some people have faced problems with software; for example Steam doesn’t officially support Windows 8, an issue that for most people didn’t surface until they upgraded to Windows 8.1. Most compatibility issues, however, have to do with hardware and driver conflicts. Microsoft’s crowd-fed Compatibility Center can shed a light on whether your hardware will work with Windows 8.1. You can manually search the forums and comb through user comments to find out whether your setup is compatible. Don’t rely on the overall vote, but dig through the comments to get a clearer picture. In case you spot a potential issue, you can check ahead of time whether solutions are known or fixes have been implemented in the meantime. Hardware manufacturers may offer updated drivers specifically for Windows 8.1 and software bugs get fixed with time. Finally, the Windows 8.1 Upgrade Assistant provides a quick automated check of your setup, although I would not rely on it. For more details, read my full review of options to check for Windows 8.1 compatibility Is Your Software & Hardware Compatible With Windows 8.1? Is Your Software & Hardware Compatible With Windows 8.1? Windows 8.1 is much more than a simple service pack! Upgrading could mean you're stuck with a buggy OS. Don't be fooled into upgrading to Windows 8.1 before checking whether your current setup is compatible! Read More . if you’re upgrading from Windows 8.1 Preview, make backups of your program data and download installers, as you will lose all installed desktop software. While you should always maintain backups of your data, before upgrading your operating system, you should also create a system image. 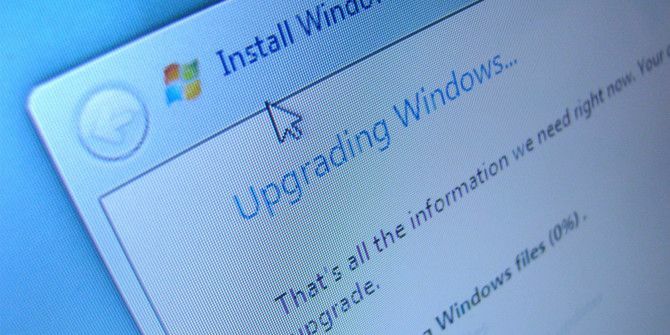 Not only is the Windows 8.1 upgrade known to — potentially — cause trouble, it’s also impossible to downgrade. With a system image, however, you can return to exactly where you left, with very little headache. Windows 8 contains a somewhat hidden way to create a system image; it’s called Windows 7 Backup and Restore and it works like a charm. The thing is, the system image only works with Windows 8, not with Windows 8.1. So should you wish to undo the upgrade and return to your previous Windows 8 installation, you actually have to re-install Windows 8 and then apply the system image. Meaning, not only do you have to create a system image, you also need to create Windows 8 installation media before upgrading to Windows 8.1. In my article on how to upgrade to Windows 8.1 & downgrade back to Winodws 8 How To Upgrade To Windows 8.1 & How To Downgrade Back To Windows 8 How To Upgrade To Windows 8.1 & How To Downgrade Back To Windows 8 The Windows 8.1 update is free, easy, and gives you access to new and improved features. It is, however, impossible to simply downgrade to Windows 8, unless you plan to before updating. Let us show... Read More , I have outlined the entire procedure. Many issues that occur after a Windows 8.1 upgrade can be traced back to conflicts of some sort. Most of these can be prevented by performing a clean install. Rather than trying to apply the upgrade to an existing system, install a fresh copy of Windows 8.1. The drawback is that all your data, settings, and installed applications will be erased; of course you can make a backup first. On the upside, you increase your chances of successfully installing Windows 8.1, which can potentially save you a lot of time. Even if you have already upgraded to Windows 8.1 and are trying to solve issues, starting from scratch might be more effective than fixing the symptoms of a bad upgrade. 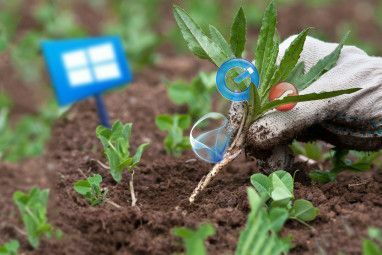 Chris has demonstrated how to create legal Windows 8.1 installation media Overcome Windows 8.1 Upgrade Errors With A Legal ISO Download Overcome Windows 8.1 Upgrade Errors With A Legal ISO Download The Windows Store upgrade doesn't work for everyone. To avoid or fix issues, perform a fresh Windows 8.1 installation using Microsoft's ISO file download. You can even use the installation media on multiple computers. Read More using an ISO download. In case you experience minor issues after upgrading to Windows 8.1, try to fix them; it might be easy. Danny covered 7 Windows 8.1 Upgrade Issues 7 Windows 8.1 Upgrade Issues & How To Fix Them 7 Windows 8.1 Upgrade Issues & How To Fix Them Windows 8.1 is more than a Service Pack. The significant Windows 8.1 upgrade has been reported to cause several issues during and after the update. We show you how to fix the most common ones. Read More , plenty more were addressed in the comments of that article, and you can always ask our experts for support on MakeUseOf Answers. How Did Your Upgrade Go? If you decided to upgrade to Windows 8.1 after all, please let us know how it went! How did you upgrade? If you ran into issues, what were they and how did you fix them? Please share your experience with the rest of us, it’s highly appreciated. during upgradation of windows 8 to 8.1..is there any sort of data loss from the hard disk(say data on drive C/D..??? Windows might -- with warning -- uninstall incompatible apps or programs, but your personal data should not be affected. Of course, you should always have a backup of your data. Genetically, every man is part female. I tried upgrading to 8.1 numerous times (each time it had to redownload the entire update app), but it would always freeze on the third reboot. Searching on Google suggested that it was most likely an unsigned driver that was preventing it from fully installing. I had to back everything up and just install it fresh as opposed to update. Of all of the times I've tried updating to the next major release, something goes wrong and I end up reloading everything. I don't mind, as my computer is usually much faster then. Jeepers, I do "sudo apt-get update && sudo apt-get -y upgrade && apt-get dist-upgrade". Simples. Yeah, I am waiting for MS to release the Linux update for Windows. I am pretty sure there won't be any problems after that. my USB ports dont work anymore. thnx windows. Yeah...8.1 not only wants to put your USB drives to sleep...it will disconnect them. I had to change both the power settings in Device Manager (USB Hub Power Management) and the sleep options in Control Panel. People still do upgrades to a new Windows OS? Windows has never been designed well enough to reliably upgrade (otherwise we wouldn't have articles like this). Just take it as an opportunity to do the big reinstall and clean up Windows effectively requires to keep it working usefully. Worst case it will encourage you to keep backups of your data. Programs can be reinstalled with the latest versions easily and the accumulated rubbish left on Windows won't be carried over. Two important step's this article is missing. 1. If you have your documents, downloads, music, pictures, etc. on a 2nd hard drive. You must first unplug it and do a clean install of Windows 8. Then run Windows Update repeatedly until none are found. Then add Windows Media Center if you use it. Next go to the Windows Store and downl Windows 8.1. After it's installed run Windows Update again until noe are found. Then install your driver's and software. 2. Not all app's from the Windows Store that worked in Windows 8 will work in Windows 8.1. Do a web search to see if the one's you use are compatable with Windows 8.1. When all is done plug your other hard drive back in and point windows to the folder's on it. *Side tip for free software go to http://www.ninite.com and pick what you use and let it download all of them at once without bugging you. Thanks for sharing these steps, Keith! It's a really good reminder to run Windows updates before upgrading drivers and software. No problems whatsoever. One computer with Windows 8 decided one morning to install 8.1--some balloon notification, and I said fine, click. Didn't even think twice. One of those tablet things I found by the silver aluminum tree--an Asus T100 (which actually runs rather well)--did the same type of update. The 8.1 came with a few other updates. Oh, and some other person gave me an Asus Q200E or some such model because it was "really slow." I totally didn't know what I was doing with that one, so I clicked the refresh or reset button. All of a sudden I had this new looking laptop that has great sound (and a lot of finger prints all over the screen because I am having the sweetest time trying to remember where all the squares and arrows lead). No speed complaints. Yeah, so . . . hope it all works out for others. Kind of fun scrolling the tile marker signals across. Hey, after one reaches 70, it's sort of over with eating and drinking and whatever else I did--can't remember. You can restore a 8.0 system image over 8.1 using a 8.1 USB install disk. Been there...done it. Just choose "repair" during setup. No need to re-install 8.0 just to re-image the machine. I tried to update 8.0 WMC with an ISO and lost my activation...had to start over and upgrade through the store. Restored the 8.0 image over 8.1 no problem. Thanks for sharing! That's an option I didn't think of. "If you decided to upgrade to Windows 8.1 after all, please let us know how it went! " After all? Please. The horror. Having to have compatible hardware and software. Making a backup. Horror! It went well on the 3 machines I've done it on. Had a couple of programs that didn't want to play nice. Horrors. I agree with AW on the requirement for a MS account, but you can change it immediately to your own, disconnected password. One person had a problem with their account and it wouldn't let them log in. 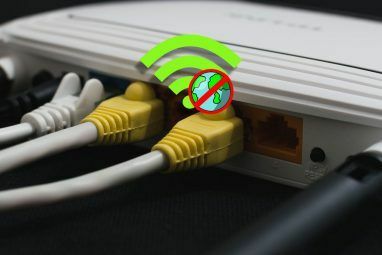 Had to disable the router and reboot. With no connection, it let me log in with the blocked account. I then changed it. And yes, I do like the convenience of being connected to various services- but they all come with the price of conformity to someone else's standards and privacy policies. I upgraded my wife's computer to Windows 8Pro during promo from Microsoft at about $25 for the full version. I downloaded & installed for her. Actually was nice but now we can't get it to stop locking up. I tried to download and install the upgrade to 8.1 but am blocked by MS because I have 8Pro on it. Dumb thing is that I can't locate the download file for Pro to try reloading. I also found that the option to keep system creating restore points is not active & will not remain as ongoing factor, it all manual but even then discards previous versions which further deny ability to step back just a little bit. As you can you have 2 seniors of which one of us is fair with stuff and other one is let me turn it on and go where I point it. I upgraded to 8.1 from 8.0 and it wouldn`t let me log in. I could log in on the microsoft website but not on the computer, even though it worked with 8.0. The fact you need a microsoft account to begin with is rubbish. I eventually reset the password 2/3 times and got back in. After the upgrade my laptop randomnly froze, a common issue it would seem. I bought a clean copy of 8.1 off Amazon, installed and it was still the same. Eventually after looking at the various logs in the event viewer, I discovered the freezing was caused by Windows Defender. Since I`ve disabled this and installed Bit Defender everything has worked fine. Windows 8.1 can be temperemental, but its better than 7. On none touch screen laptops the metro interface and charms bar are as welcome as a hole in a boat. Once you have it looking and working like 7 its great.